I'd say that the title of this blog post speaks for its self... It is time for this mommy to get right for the summer fit and stop being lazy! I have set a goal for myself: LOOSE THE LAST OF THE BABY WEIGHT! 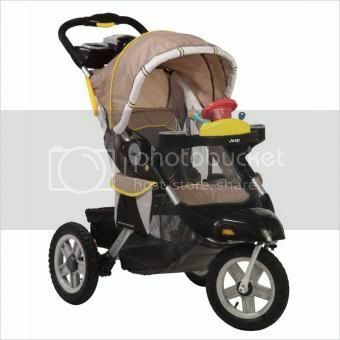 The Kolcraft Jeep Energy Jeep Liberty Jogger Stroller! ...and the best thing is, Trev can come running with me!